Ivor Dembina is a London based Jewish comedian who uses the traditional flavour of Jewish humour to tackle tricky subjects. 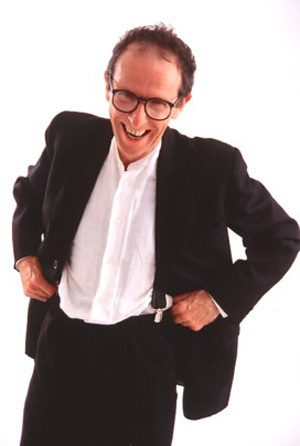 His first solo show, Stand Up Jewish Comedy (1994) was a comic critique of his own life as a Jew brought up in north London, UK. His next show was SadoJudaism (2001), a close up and peculiarly Jewish view of the worlds of fetishism and sadomasochism. His most political show (2004) was a comic account of his visit to Israel and the Palestine entitled 'This is Not a Subject for Comedy'. But arguably his most successful show is also his most recent one, 'Old Jewish Jokes' (2014 onwards) which garnered 4 and 5 star reviews at the Gilded Balloon, and which now reprises every year at the Laughing Horse Free Festival. Whether he is doing a club set or in solo mode you can expect a mixture of thoughtful routines and top gags held together by a natural ease with the audience, a quality he's acquired through his extensive experience as a compere.